Wonderfruit just announced their phase 2 lineup, which features electronic and indie favorites like Lianne La Havas, Shura, Stephan Bodzin, YokoO, Blitzen Trapper, Eric Volta, Uone, Marc Antona, and Buke and Gase. Previously announced, phase 1 lineup features Rudimental, Young Fathers, Matador, Wolf + Lamb, and more! Wonderfruit also just announced a stage created by Burning Man favorite Gregg Fleishman that will be used for sunrise and sunset performances, an art installation created primarily from waste collected by beach cleanup crew Trash Hero, and a speaker series focused on creating a sustainable future. Festivities will be held through Decemeber 15-18th in Bangkok, Thailand. 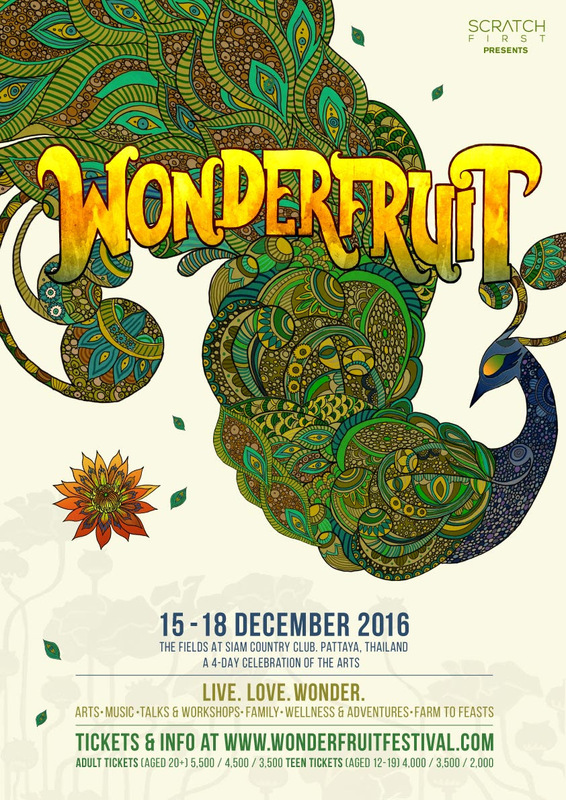 Tickets are still available on http://www.wonderfruitfestival.com/tickets. View the line up video below.